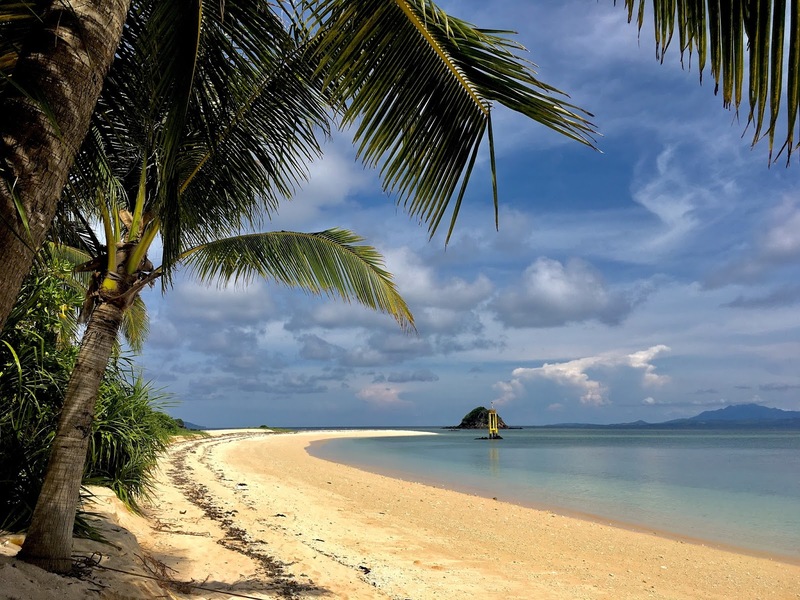 Parola Island is a hidden gem located at the Municipality of Jose Panganiban in Camarines Norte. The island was named after the lighthouse or “Parola” that was built on the island to guide seafarers and fishermen at night. It has two(2) shorelines and slender shaped. Locals also call the island Tunao or Tailon Island. 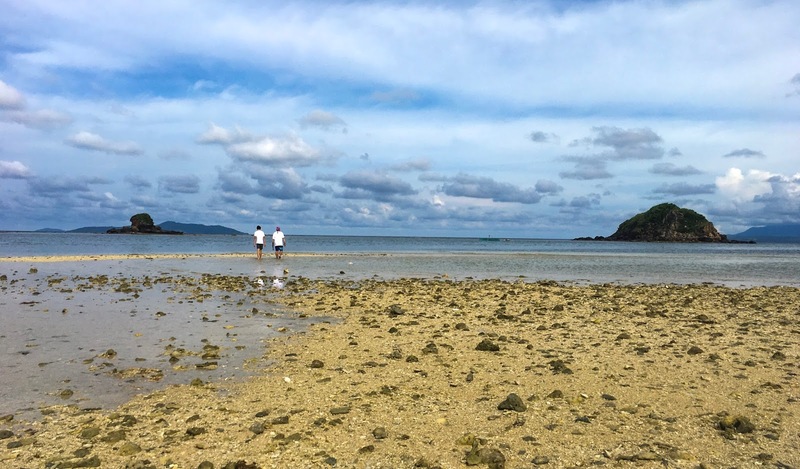 Tourists have minimal knowledge about Parola Island compared with its counterpart Calaguas Island, but, backpackers, adventure seekers and people who want to take a break in the hustle and bustle metro life consider Parola Island as one of their favorite destination. The island is virgin and provides travelers a back to basic vacation where they can experience an overnight in an island without electricity, water, stores and resort. The island is privately owned and the only allowed structures in it are the house of the island’s caretaker, the lighthouse, a cottage and a restroom. 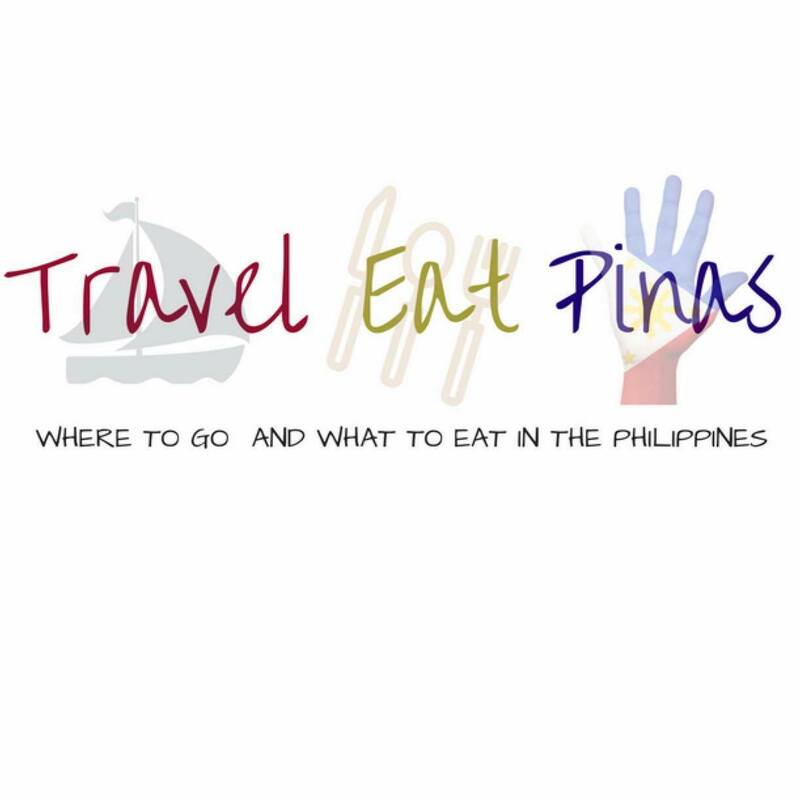 • Go to Philtranco Terminal Station and ride a bus going to Jose Panganiban, Camarines Norte. You may ride the morning trip which leaves at around 7:00 AM or the night trip that leaves at 7:00 PM. Fare costs Php 544.50. • Alight at Jose Panganiban Terminal, head straight to Roy Padilla Sr. Boulevard and ride a boat going to Parola Island. Travel time from the port to the island is 30-45 minutes. • Go to Superlines Terminal Station and ride a bus going to Paracale-Panganiban. Their day trip leaves at 5:45 AM. For night trip, they have three (3) trips. First trip will leave at 5:00 PM , second will leave at 6:00 PM and the last trip will leave at 7:30 PM. Ordinary bus fare costs Php 445.00 and Aircon Bus costs Php 550.00. 16:00 PM- Sunset View at Turayog Hilltop. 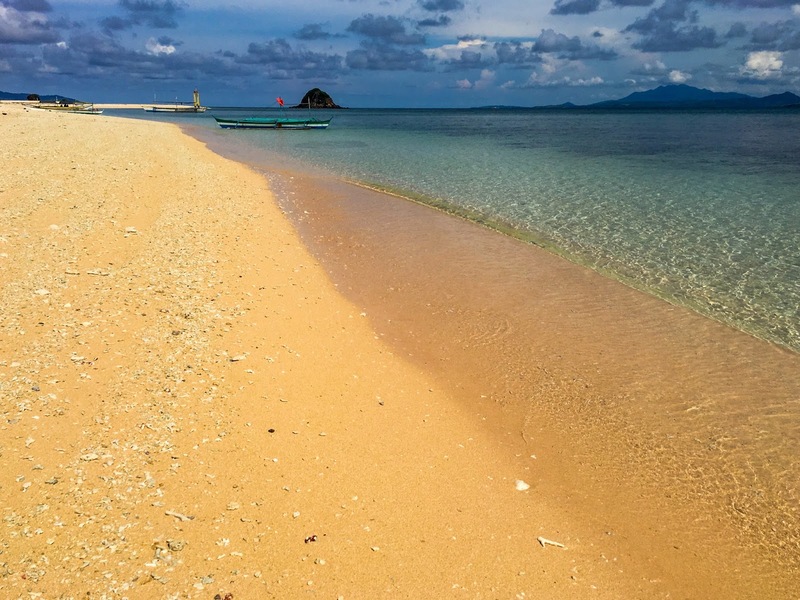 Parola Island has fine brownish sand with fragments of seashells that turns pink every time the sea touches the shore. The pink color of the island's shoreline is more visible during mid afternoon and sunset. 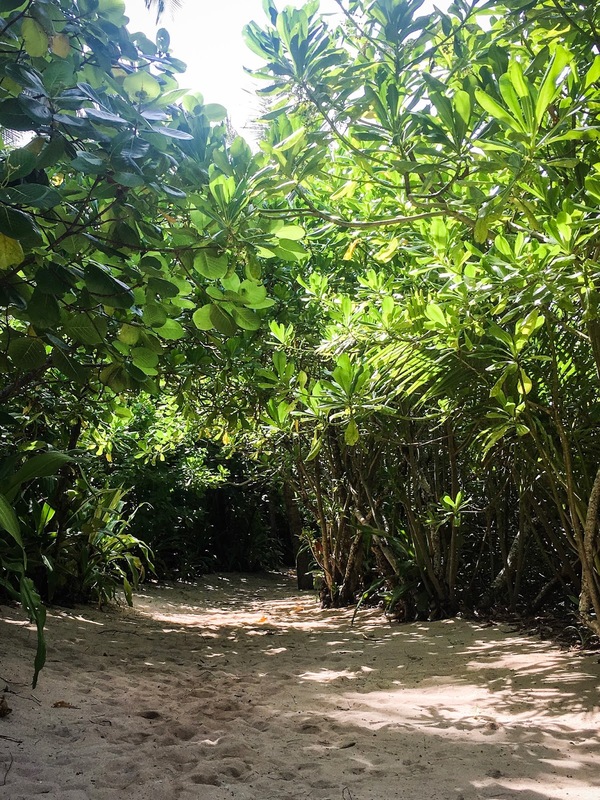 Luscious plants and trees created a tunnel on the island that serves as a pathway towards the lighthouse. 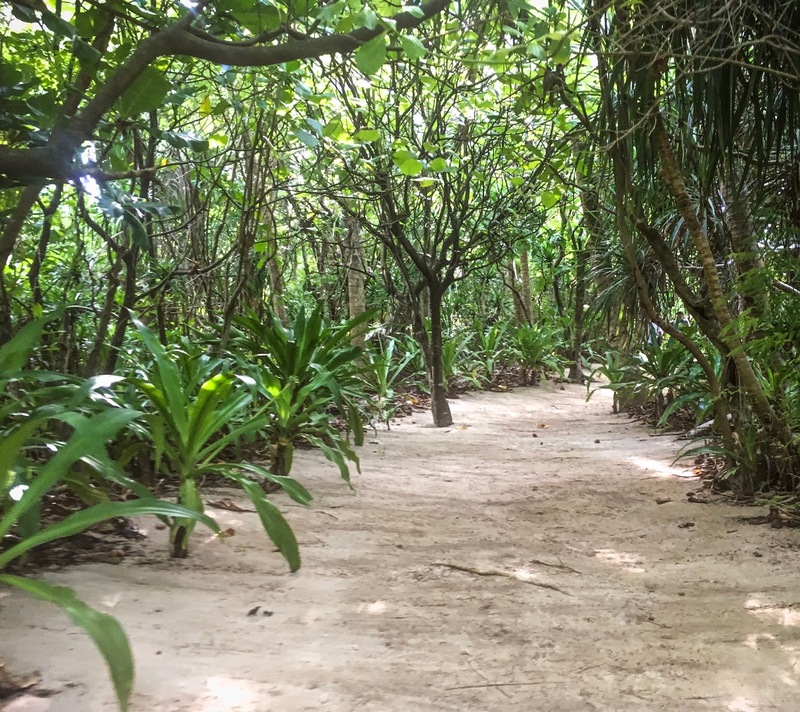 The green path tunnel can also be a perfect camping spot because strong winds cannot easily pass the thick and luscious plants surrounding tunnel. 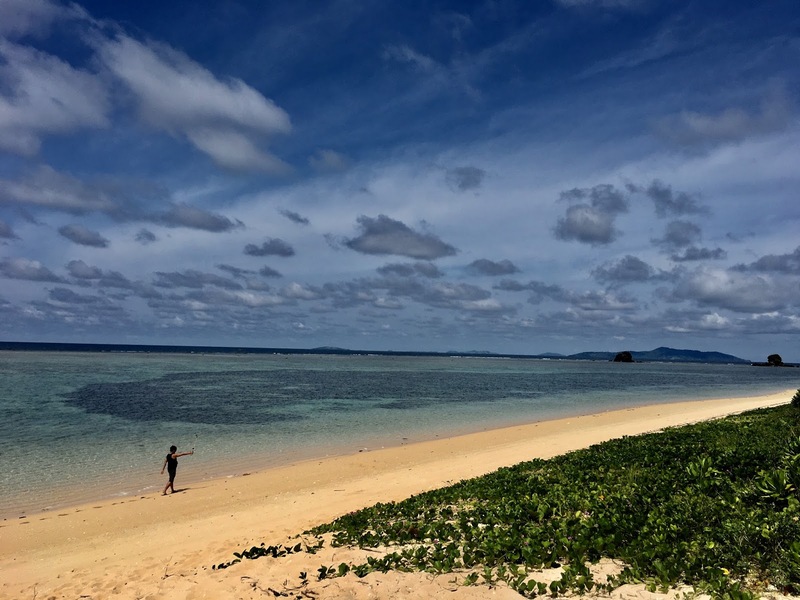 Parola Island provides a back to basics experience. 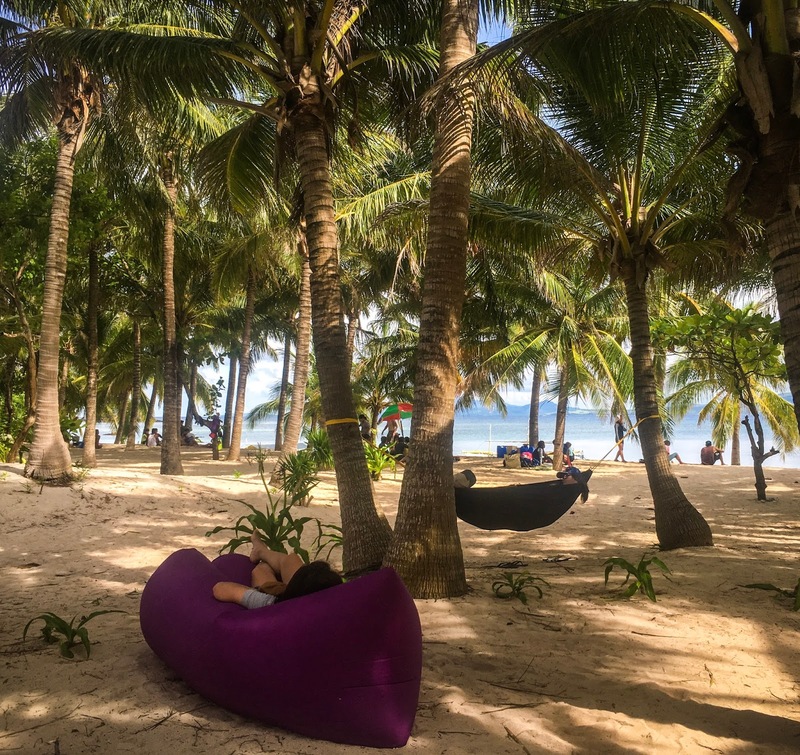 The island doesn't have resorts but travelers can bring hammocks and tent that they can use while staying in the island. 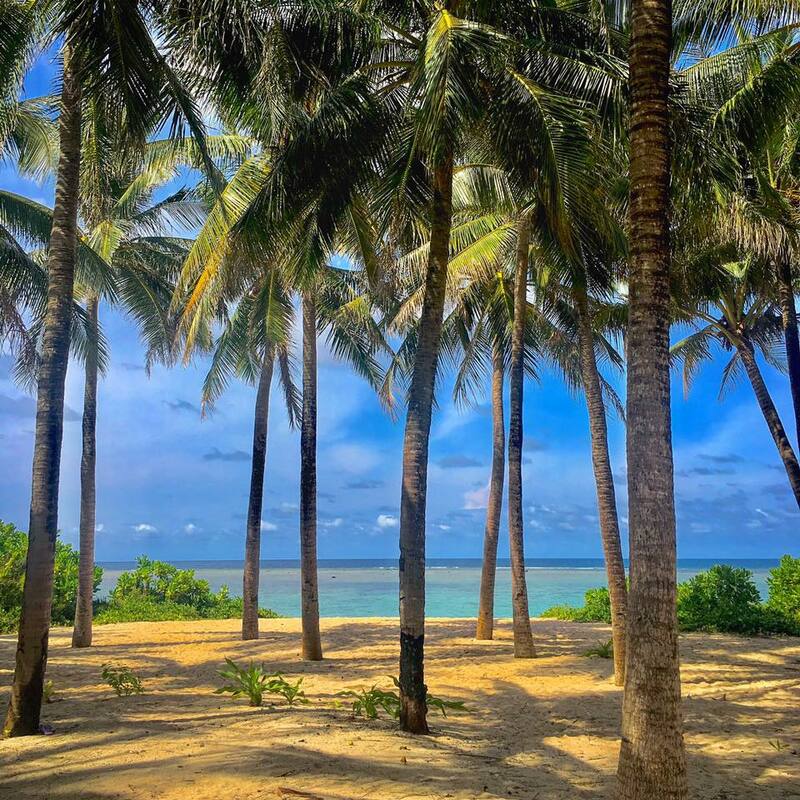 Majestic panoramic view of nature can be seen on every corners of the island. This photo was taken near the lighthouse and from here you can see the other island and islets near the island. 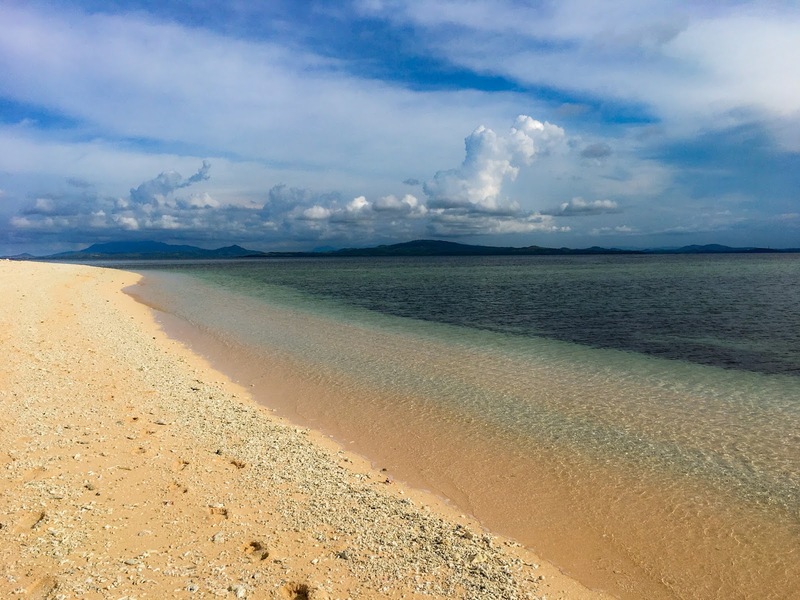 Whether you wait for the sunrise, sunset or just sit by the shore, Parola Island will provide extremely good panoramic view. 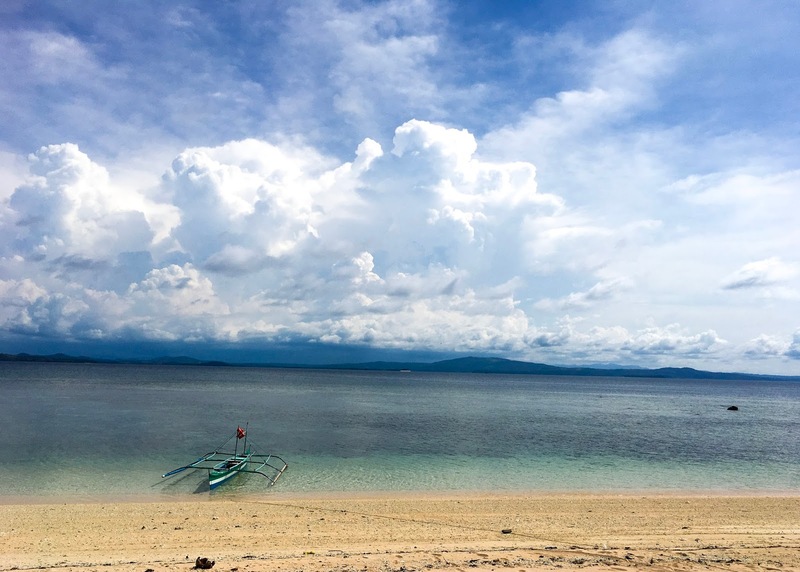 Two islets can be found near Parola Island. 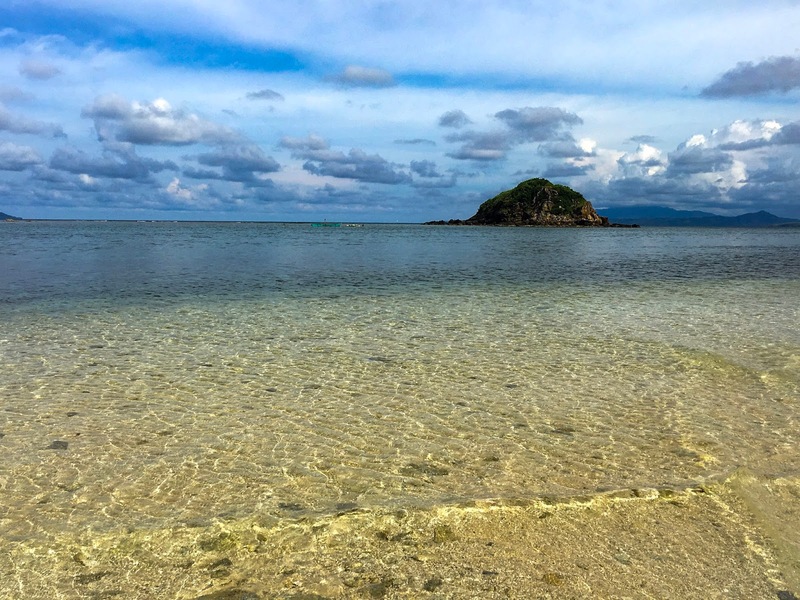 The islets can be reached by walking during low tide. 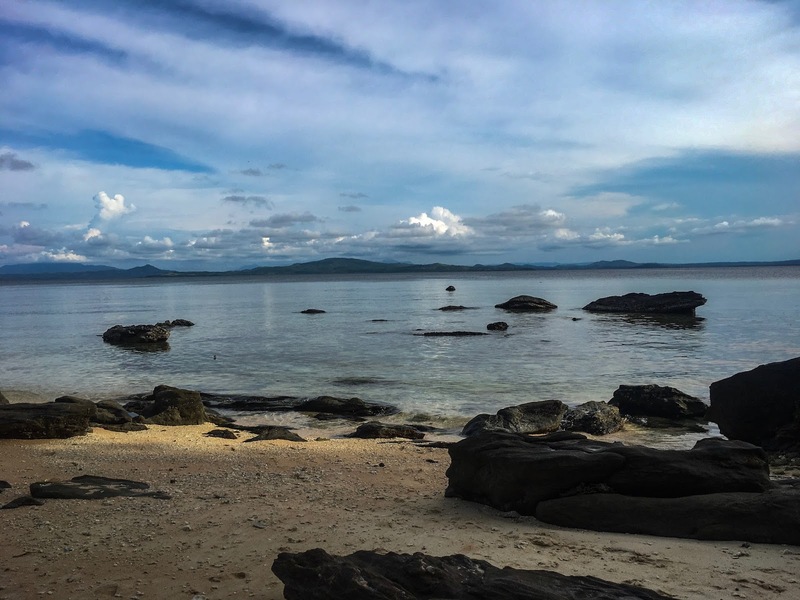 Make sure to wear aqua shoes or anything that can protect your feet when you go to the islets because there are dead shells, stones and corals in between the island and the islets that might hurt your feet. Instagram worthy rock formations can be found near the shoreline. Fishes also swim near the rocks, making this side of the island the perfect spot for fishing. 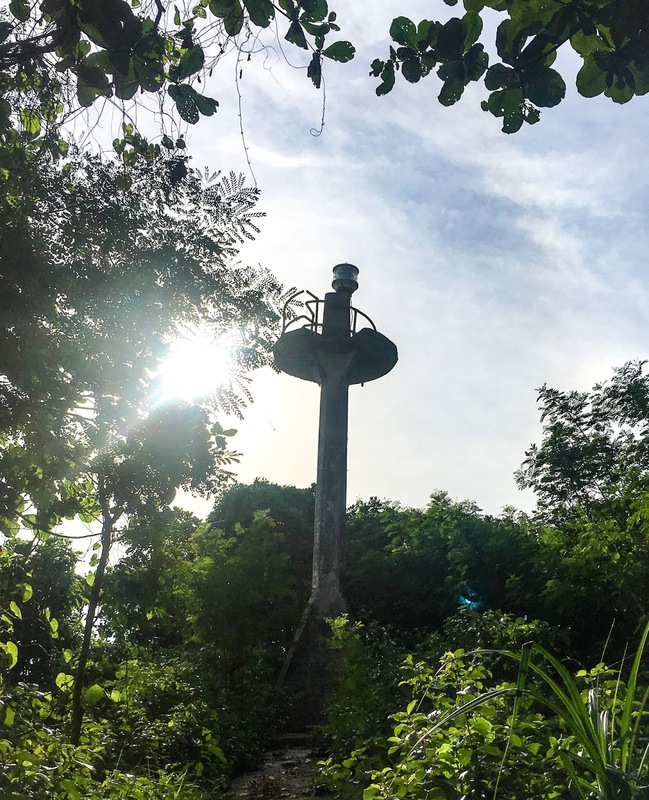 Parola Island was named after this old lighthouse. Despite being old, the lighthouse is still working and guiding seafarers at night. Tropical vibe in the island. *The island is privately owned and 200 tourists per day are allowed. NO CLEARANCE FROM THE TOURISM INFORMATION CENTER OF JOSE PANGANIBAN, NO ENTRY. After reading this, Camarines Norte Parola Island is on my list of places to go! Thanks for appreciating Johnny. It means a lot to me. This island will surely capture your heart. I fell in love with it the moment that I saw it. In the coming days, I will be posting more destinations in Camarines Norte that you might include when you visit Parola Island. This looks amazing, but where is it? I can't see a country listed anywhere in your post! It’s located in the Philippines. 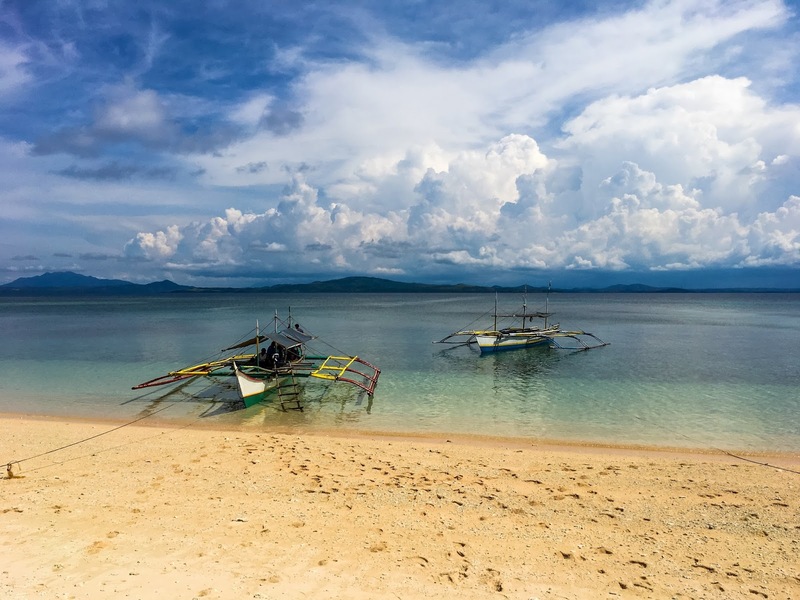 This Blog site is intended to promote majestic places in the Philippines like Parola Island. Wowza. 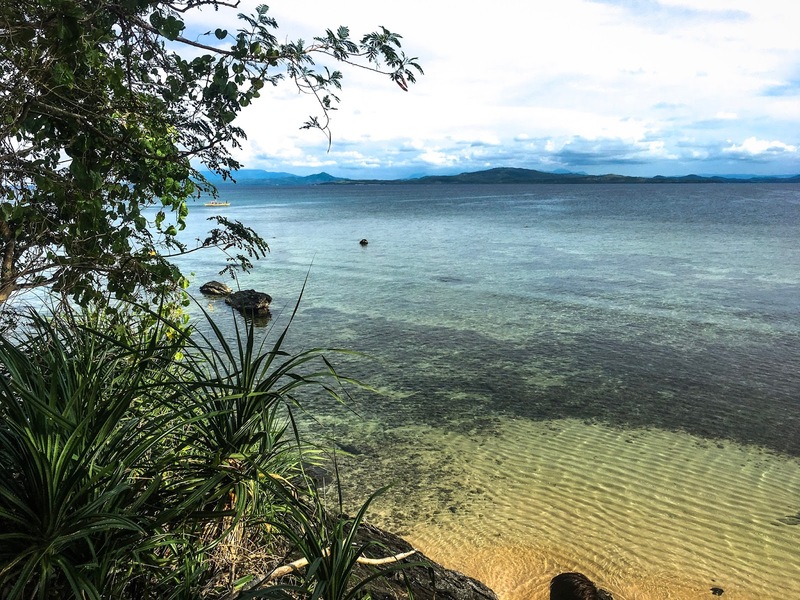 I have never heard of Parola Island before but it is stunning! That pink sand, and the gorgeous looking walks out to the islets! It looks like the prefect place to relax. Oh it is indeed a relaxing place. The island is still virgin and the only establishment in it is the house of the caretaker and a small cavana. So, if you want to distress and be one with Nature, this island is a perfect to go destination. We just discoverer this island as well a couple of months ago and I honesty fell inlove with right there and then. You will surely Love this island too. wow I can't belive I haven't heard about Parola Island yet! Looks like a paradise! I would love to go there one day and see this wonderful brown/pink sand ! Your photos are so beautiful so I wish I could just pack my bag now ! I have never heard of Parola Island. I was supervised to see so many others in your photos!! I assumed it would be you and maybe a couple of others. I loved it and I want to go there!! Maybe when our kids get older! This post makes me wanna take a vacay so bad. I have never heard of this Island myself. Thanks for informing us. What a beautiful place. I have wanted to go to the Philippines for quite some time but only had Boracay as a highlight to include up until now! Thanks so much for this informative and photographic inspiration! This looks divine! I had never heard of this island and only had Boracay listed as a must on my Philippines bucket list! Thanks for the informative and photographic inspiration! Wowzers!!! This looks like a magical island. I'd love to see brown sand turning into pink :) Doing nothing is the best thing one can do here! I so love beaches. Lovely clicks! Thank you for introducing Parola island. 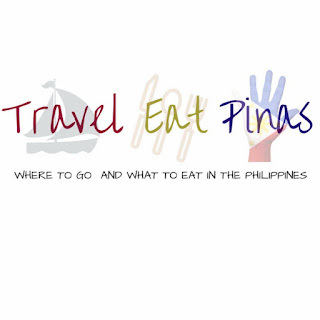 I'd surely visit whenever I travel to Philippines.